Neurovella is the sister organization and applied research company to INI. The partnership with Neurovella as allows INI to capture and collect data on brain function as a "brain observatory" examining EEG waveforms, eye-tracking data, and patient reported outcomes. 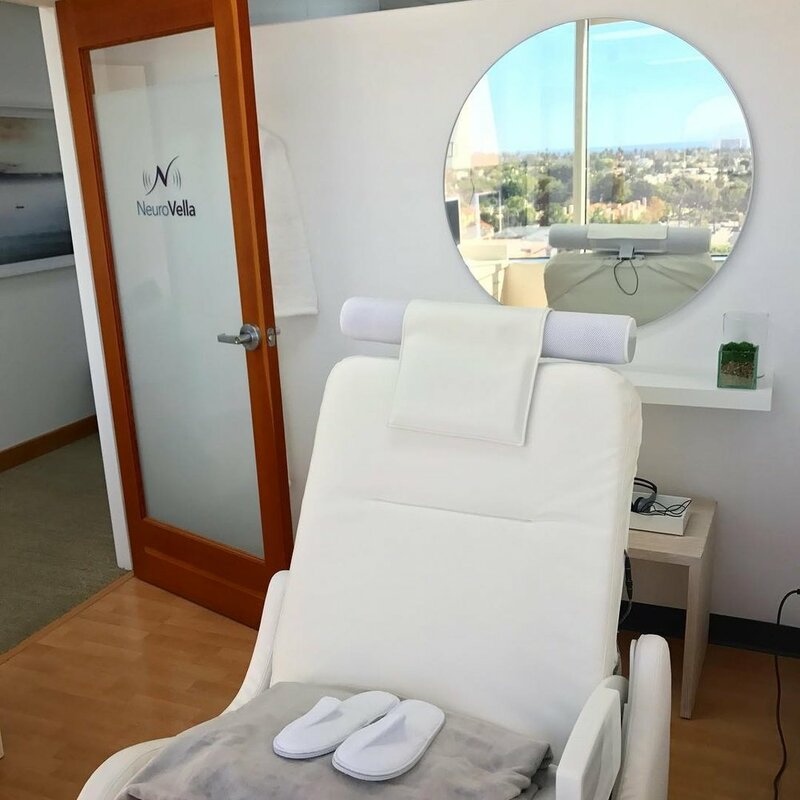 Neurovella aims to be an independent sanctuary for neurologic technology, research, and development. We also plan to transform this technology into better brain performance, memory/cognitive enhancement, and self-directed neuroscientific and introspective discovery. The first robot assisted surgery in Los Angeles at West Hills Hospital with Dr. Amir Vokshoor and Dean Wilson PA. Using a specialized CT to reconstruct a 3D rendering of the patient's spine, the MazorX robot guides placement of screws intra-op. INI is proud to be part of the first robot assisted spine surgery in Los Angeles performed at West Hills Hospital & Medical Center with neurosurgeon Amir Vokshoor MD and Dean Wilson PA.
MazorX by Mazor Robotics combines data-analytics to optimize performance in the operating room. The MazorX robot uses a specialized CT scan to reconstruct a 3D rendering of the patients spine, which surgeons can use to pre-plan screw placements. Intra-op, the robot is temporarily secured to the patient's spine to adjust for any movement or repositioning. Based on software analysis from the pre-op CT and a secondary fluoroscopic image of the surgical region of the spine, the surgical arm of the MazorX repositions for precision guidance during screw placement. The Innovation Space will serve as a direct catalyst for collaboration between clinicians, scientists, and industry partners to come together and discuss innovative ideas to solve today's most pressing issues in brain and spine health. We are seeking board members and partners who can contribute broadly and responsibly to our cause and are strategic in their approach to solving problems. We have entered a pivotal phase of neuroscientific discovery. Our hope is to use this platform to advance the quality of many lives. By bringing together different groups with their own unique strengths, we hope to bridge synaptic gaps that allow creative solutions from different perspectives.